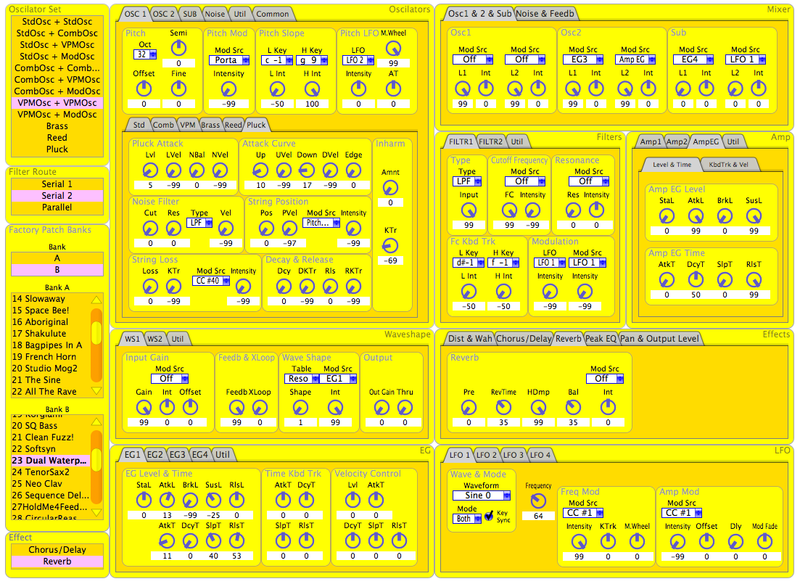 All sound , global and program parameters are integrated but not pattern parameters. 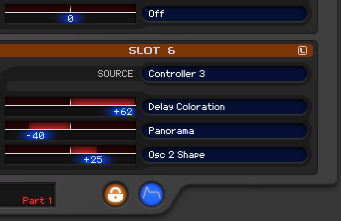 -parameter values&names not showed in the lcd labels anymore and replaced by popups when dragging knobs. -Added CC messages for the main mixer in Native Mode , the midi channel is set by Global Channel (Omni = ch1 and 1 to 16 in respective channels ). 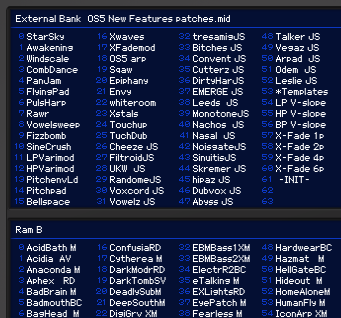 Please set the SYSEX ID of the RackAttack to 0. This is a panel for the GEM Real Piano Expander, a physically modeled digital half rack piano module. General Music made the Real Expander from 1990s to 2000. They applied three physical modeling technologies: 1) natural string resonance, 2) damper physical model and 3) advanced release technology. This technology has made the Real Expander to become in my opinion one of the best sounding piano modules. I started this as my first panel because i thought it to be easy. 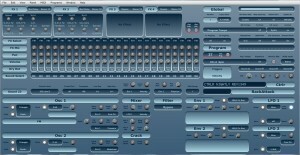 It doesn’t have many controls and the MIDI implementation is minimal. Soon I had the modulator part ready and the panel became a kind of remote control. To know what was going on one still had to look at the LCD-screen of the RE and therefore the unit needs to be in sight, which is not entirely possible in my setup. So I decided to try and use the LCD-component to reflect the text on the screen of the real thing. This led me into the world of Lua scripting. The learning curve was (and still is) very steep, but I managed, be it partly. The LCD-component of this panel shows at the moment only for the buttons MODE, PERF/SOUND, VOLUME, REVERB and EFFECT to same text as the RE. How to use this panel? It is important you setup the Real Expander to use midi channel 3 as the common channel, midi channel 1 for sounds on layer 1 and midi channel 2 for sounds on layer 2, otherwise the LCD does not show the right text when using the mode and perf/sound buttons. Also I think it is better to first switch on the Real Expander, before starting with Ctrlr and this panel. So far I have only tested this panel in standalone mode on a Mac (OS X 10.7.5)! When you click on the MODE button the RE will go either into Performance mode or Sound mode. This mode change is not immediately reflected on the LCD. 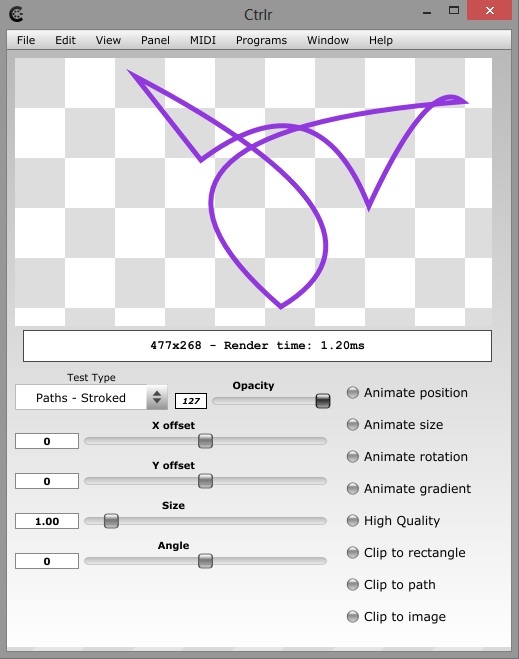 After you click on the + or – button of PERF/SOUND you will see the appropriate text on the LCD. Clicking on these buttons has immediately effect for the current performance or sound(s) and the text of the setting is shown on the LCD of the panel. Same behavior as the MODE button: first click doesn’t show immediately the right text, but after a second click the appropriate text is shown. Clicking on – or + changes the volume. After you click on this button you can use the sliders Reverb Time, Reverb Send, Effect Send, Effect Depth and Effect Send to set the desired value for these items. The setting is not reflected on the LCD, so look at the screen of the RE itself. All other buttons are operational, but for these you have to look at the screen of the RE to get visual feedback of what you’re doing. So all in all this panel (which basically mimics the physical device fairly accurate but still needs to be perfected) was a tough exercise for me to become familiar with the world of Ctrlr and Lua, and without the help of ‘atom’ and the answers found on this forum I’m pretty sure I couldn’t have done it! With all the things I have learned for sure the next panel will be much easier and less time consuming to develop. Have fun and please post your comments! 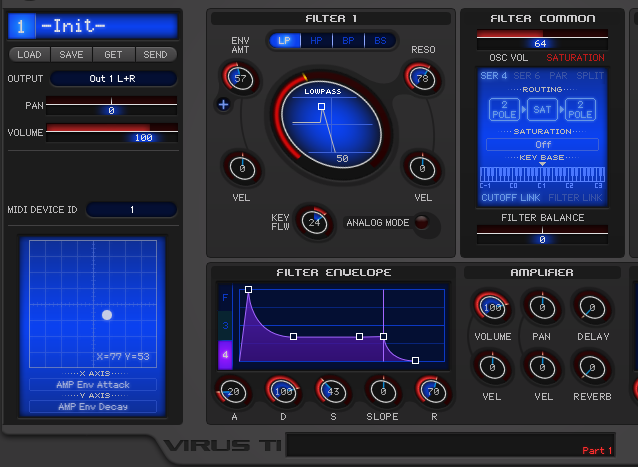 Graphic interface for controlling the Korg Prophecy. This panel isn’t finished, but all controls are working. Everything is working fine! The only thing is that I didn’t have the full list of the CC’s of Omega, so I was unable to make modulators for the inner functions of the synth and for the “glide” effect. 1. Start the DAW and turn off the midi in/outputs the Omega is connected to. Restart Ableton. 2. 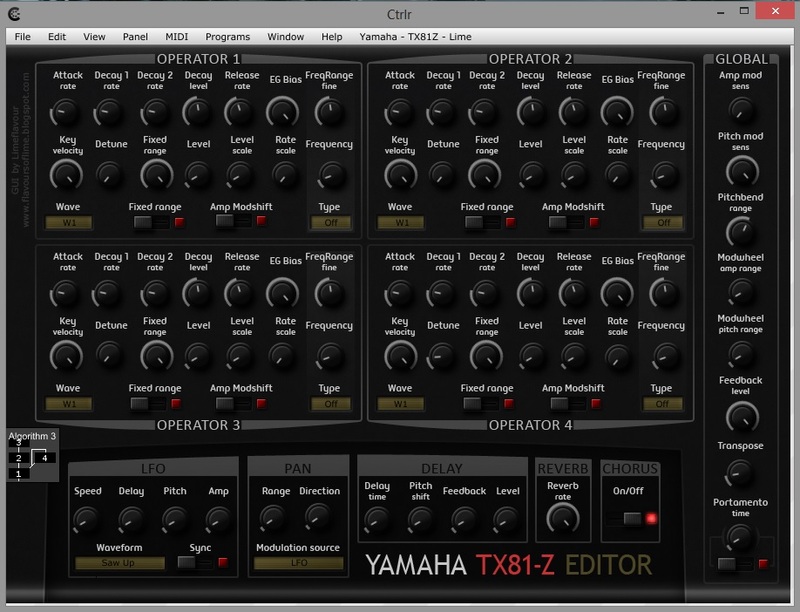 Put the Ctrlr vst plugin into a new channel and open the Omega panel in the plugin. 3. Select the midi in/output/controller the synth is connected with. 5. To record audio in the DAW select an audio track and use the audio input the synth is connected with. You can also record from notes written in Ableton in the midi track the plugin is assigned to. 6. To use automation select the plugin in the bottom of Ableton and select “configure” so it turns green. 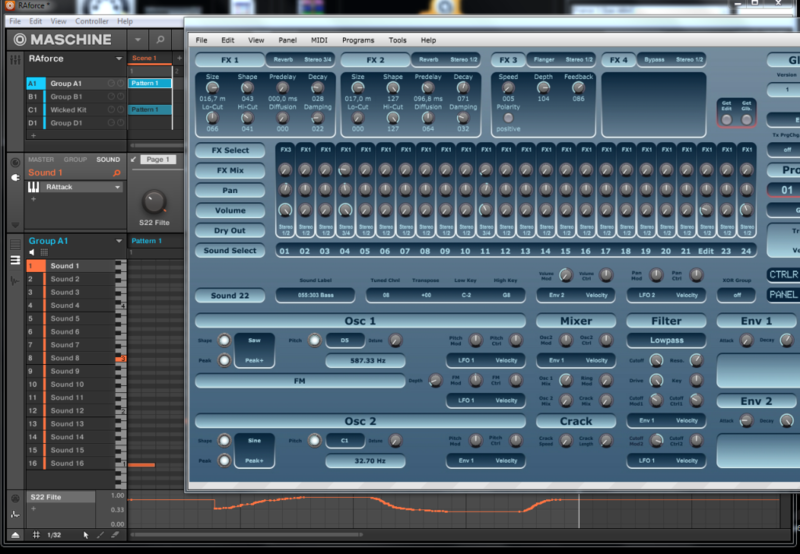 Rotate some modulators in the panel and it will appear in the midi track. Now you can automate the selected function. 7. [off-topic] Calibrate the latency by editing the delay in the midi track. If someone has the official Omega manual from SE I would be very grateful if you could send me a scan of the whole manual or at least the pages with the CC command list so I can extend the panel and add more modulators! This is the Yamaha TX81Z panel, with graphics by Lime. 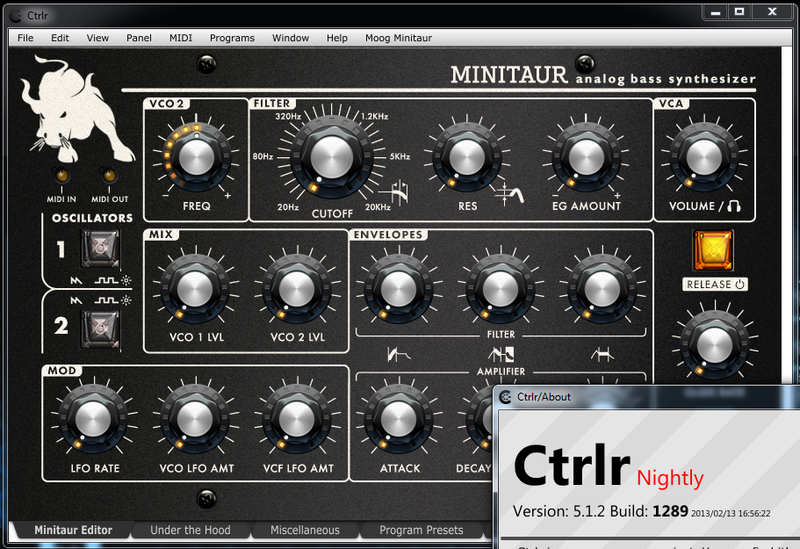 This panel has been designed to work with the Minitaur which is a compact and powerful analogue bass synthesizer created, produced and sold by Moog Music Inc. 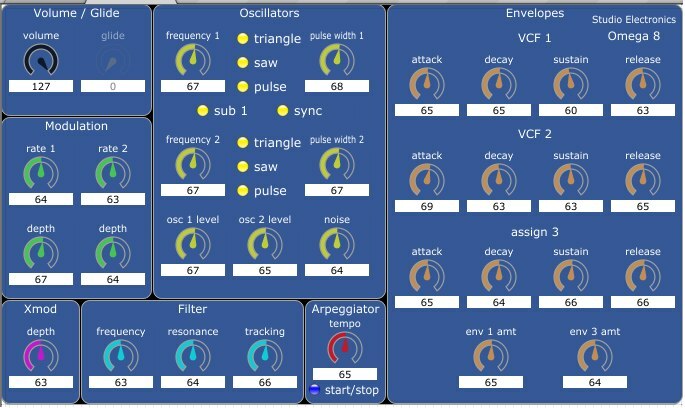 This panel will allow the user to have access to this powerful synthesizer as a VST/AU enabling the user access within programs such as Ableton Live and Logic Pro using full automation. This panel is still in development and I look forward to any comments, suggestions and recommendations. The purpose of this project is to allow my son access to this device using full automation in the aforementioned programs. I have been developing and testing as a standalone panel and am ready for some initial testing and feedback on the panel. 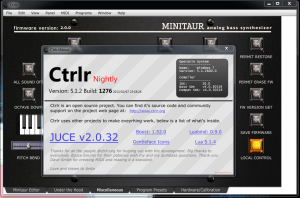 The controls on the first tab (Minitaur Editor) use a vertical drag to alter them and they show a bubble with the value. The second tab (Under the Hood) uses a rotary drag to move the knobs. This screen will also allow one to position the knob at the point where they click on the knob, eliminating some of the need to drag. The third tab (Miscellaneous) uses a horizontal drag. Both tabs 2 and 3 do not show the bubble when dragging. All three tabs allow the user to double click to set value back to Default as specified in the Minitaur manuals and documentation. Please feel free to test and provide feedback on anything. Currently, avoid using the Erase Firmware and Save Firmware functionality on the Miscellaneous tab. Those setting may require physically putting the |Minitaur in a special mode, so avoid those at this time. On that tab is the Set All Defaults button. This button may be useful if settings go astray. When using some of the settings it may be necessary to either Send Snapshot or Receive Snapshot depending on where the change was made. Once Set All Defaults is performed one may want to hit the FW VERSION GET button and watch the firmware version on the screen get updated. Also, the FW VERSION DISPLAY has your Minitaur show its display by flashing the Oscillator button LEDs. The Refresh button on the Under the Hood tab will update you MIDI settings so one may also select and make changes from those LED style list boxes. I also have not tested anything on the Hardware/Calibration page. Use that at your own risk and really only if you know what you are doing. All the Presets buttons work now. The Save Local Preset function is identical to functionality on Moog’s Minitaur Editor, except for a slight difference in two of the settings. Those settings are:Glide Type and LFO Clock. Work is still being done to better the functionality on this tab but it is now fully functional needing some User Interface improvements as well as perhaps correcting the aforementioned difference. Rendering demo for Ctrlr. How to draw stuff yourself and how to deal with all that LUA stuff. This demo shows most cool capabilities that gives you LUA in Ctrlr. It’s a copy of the JuceDemo program you can find on the JUCE website. 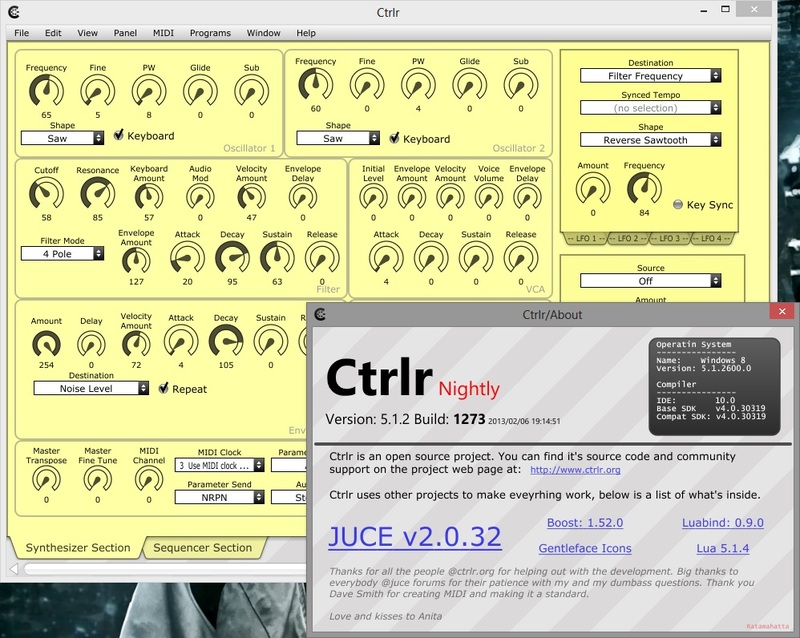 It’s important to note that this demo needs the latest nightly to work, it uses the latest codebase of Ctrlr, so don’t expect it work with the stable build. It just means it’s the old panel saved in the latest nightly of Ctrlr. Still no program dumps but i never got around to doing this. Maybe if you keep pushing i’ll do it (it’s really simple now).